[Post Updated May 2018] Despite the FTC’s “Do Not Call List” being around for over 25 years, telemarketers just won’t stop. And they almost never call at a good time. How many of us have received unwanted calls from people trying to sell extended car warranties, Medicare supplemental insurance or information about lowering credit card interest. Many of the consumers that call our law firm say they are sick and tired of unwanted mortgage company telemarketing calls. There may be some good news for these folks. The Mortgage Bankers Association recently lobbied the Federal Communications Commission (FCC) for an exemption from the Telephone Consumer Protection Act. Their request was denied! Lobbyists from the mortgage industry were unable to convince the FCC that unsolicited calls were in the public’s interest. They also couldn’t convince regulators that the need for timely delivery of the message outweighed the privacy interests of the people receiving the calls. Currently holders of mortgage debt guaranteed by the government can be contacted but that exemption does not extend to all mortgage debt and doesn’t extend to calls offering refinancing or new products. We have heard from many homeowners who say they have been repeatedly harassed by phone solicitors. You may be eligible for a cash award if you received a call offering to lower your mortgage interest rate and are on a do not call list, Ditto if you told your mortgage company to stop calling. When homeowners borrow money, their lender frequently obtains consent to contact the borrower. The borrower can rescind their consent “in any reasonable way at any time,” however. That means even if you have consent to calls from your mortgage company, just telling them to stop calling you is all that should be needed to permanently the calls. We all know that some businesses simply don’t listen. One caller told us that he finally had to get a new number after being repeatedly solicited by the same mortgage company. After several dozen unsuccessful requests to be removed from the company’s call list, the gentleman took the extreme step of changing his number simply to make the calls stop. The TCPA was enacted by Congress to address the growing number of unwanted telemarketing calls. Current rules require telemarketers “(1) to obtain prior express written consent from consumers before robocalling them, (2) to no longer allow telemarketers to use an “established business relationship” to avoid getting consent from consumers when their home phones, and (3) to require telemarketers to provide an automated, interactive “opt-out” mechanism during each robocall so consumers can immediately tell the telemarketer to stop calling.” The rules also require telemarketers to check a national “Do Not Call” list before making unsolicited calls. If you receive unwanted mortgage company telemarketing calls, you are entitled to between $500 and $1500 per call. The law also includes unsolicited text messages and faxes. The TCPA applies to unsolicited calls to cell phones, home phones, texts and faxes. Automated calls (robocalls), prerecorded messages and text messages to cell phones. Each call is a violation unless the receiving party gave explicit permission for the calls. That consent can be revoked at any time. Pre-recorded messages sent to home phone numbers. There is an exception for callers that have an “established relationship” with the call’s recipient. If you have done business with the company over the last 18 months or made an inquiry within the last 3 months, a relationship is presumed. 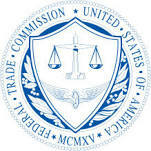 Calls made to cell and home phone numbers that are listed on the FTC Do Not Call Registry. We handle TCPA violations as class actions. There are no legal fees or costs unless we win. If you do not receive an award, you owe us nothing. If you believe that a caller has violated the Do Not Call Registry or the Telephone Consumer Protection Act, document the call and then call us. Documenting calls is an important process so that we may can prove the illegal calls and help you obtain a cash award. We suspect that there are many more companies that may be violating the law. or by phone at (414) 704-6731. You can also visit our TCPA & Robocalls information page. If you received unwanted mortgage company telemarketing calls from Freedom Mortgage, call us. Unwanted robocalls from loan Depot or the Money Source? Call us! Just like you, we get unwanted mortgage company telemarketing calls too. So to end this post, we will leave you with a little dark humor. Do you remember the movie Wolf of Wall Street? One of our favorite scenes features Leonardo DiCaprio teaching brokers how to make sales calls. It is a timeless classic.